Kerish Doctor 2019 is an usefull and complete software solution for the Windows Operating System automatic maintenance. This suite includes PC Troubleshooting, Cleaning, Performance Optimization and Anti-Malware. The application uses the unique and unparalleled Real-Time Failure Detection technology, therefore it can prevent Windows crashes in real time. Kerish Doctor 2019 regularly cleans your computer of accumulated digital “trash”, including system and software cache files. This prevents the accidental deletion of any temporary system or software files that are still needed. In addition, Kerish Doctor 2018 has the most comprehensive database of solutions to the most common Windows problems that can be applied with just one click. Just select the desired solution from the list. Kerish Doctor 2018 will analyze your system and make recommendations to improve your computer’s performance that can then be applied with a single click. The program makes it possible to optimize your operating system configuration, the operation of system services, and internet connection settings in order to achieve maximum performance. Game Booster technology also helps you increase game performance. 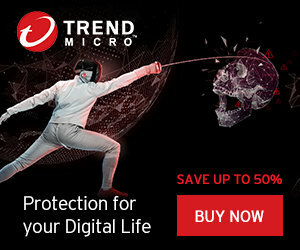 Kerish Doctor 2019 protects your computer against malicious and potentially unwanted programs and also secures vulnerable Windows settings. In addition, the program also provides timely warnings when new vulnerabilities are reported in installed software and will help you update this software. The Kerish Deblocker function effectively combats malicious software, blocking your computer even if it is already blocked.